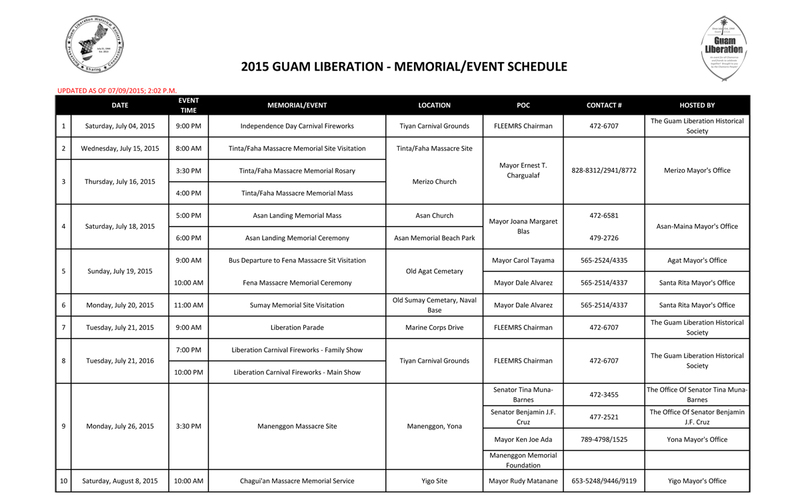 Guam’s Liberation Memorials and Prayer Services are an opportunity to tell the stories of men and women who did not survive to speak for themselves and to hear from Guam’s greatest generation- the survivors- our Man’amko. 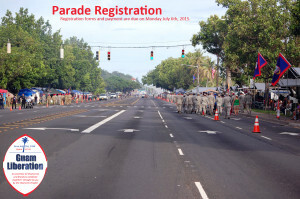 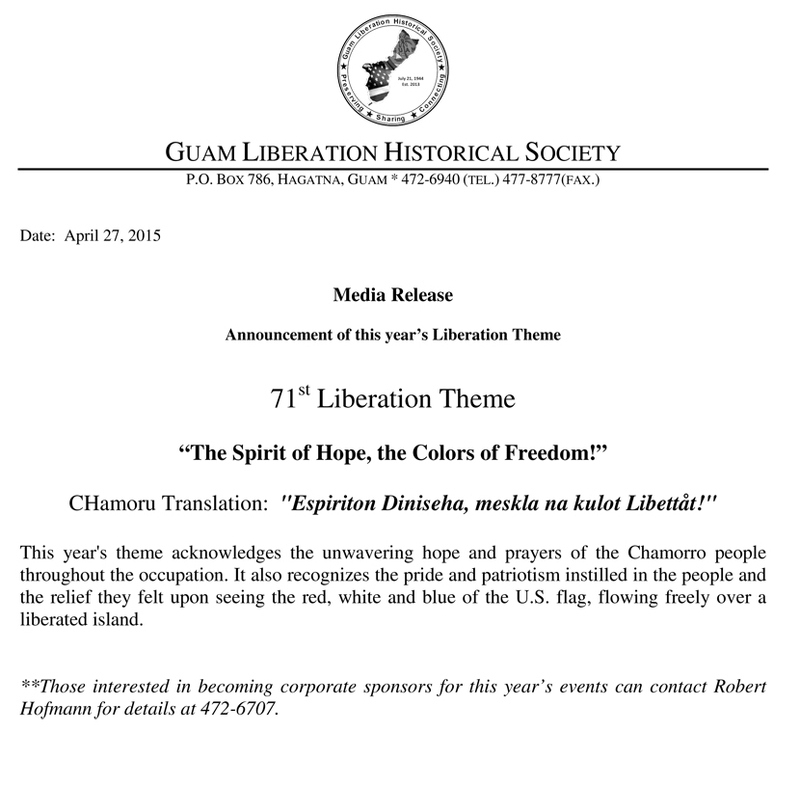 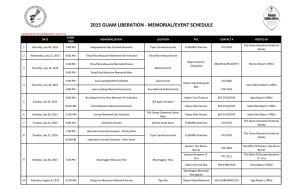 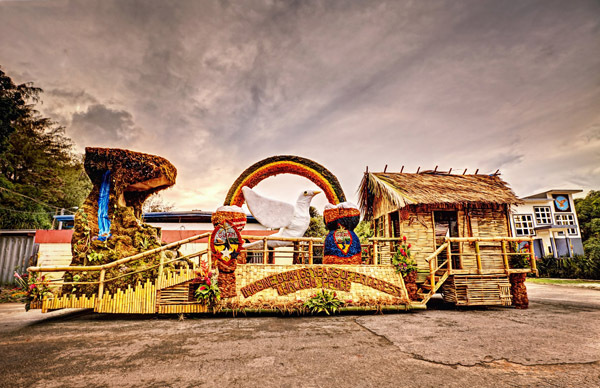 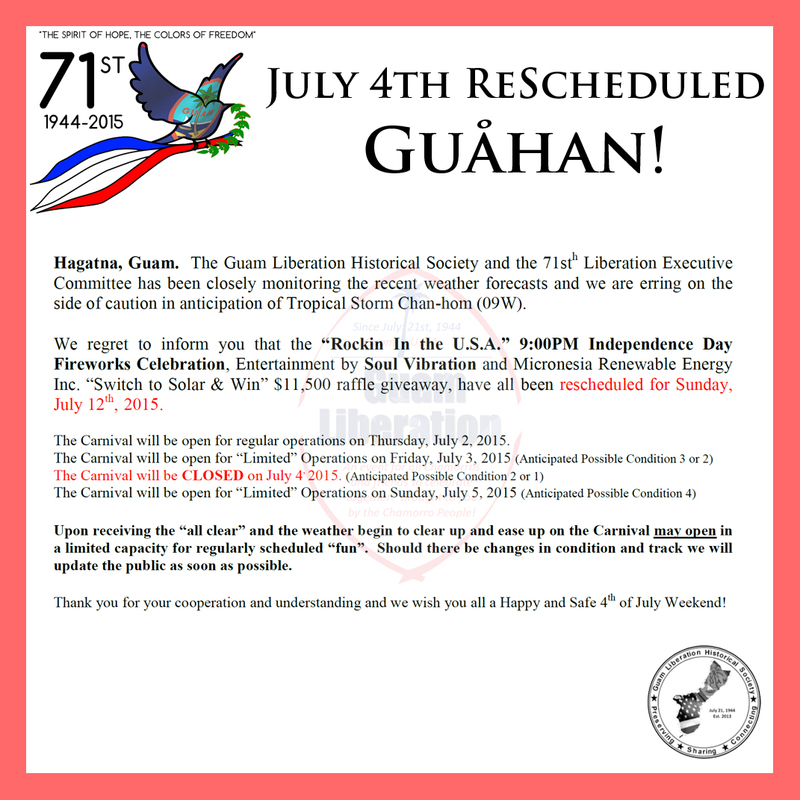 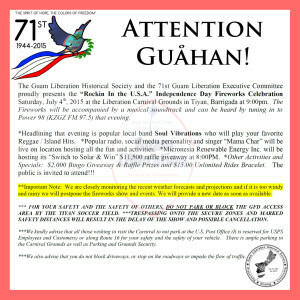 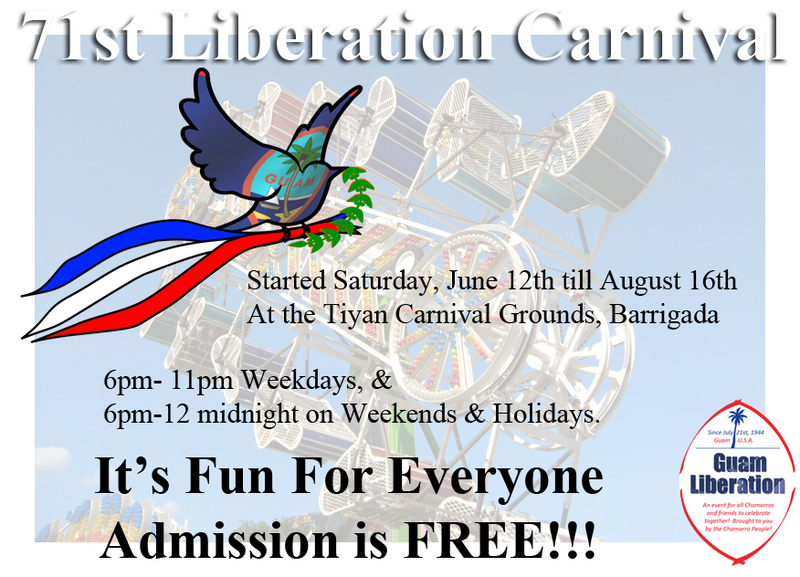 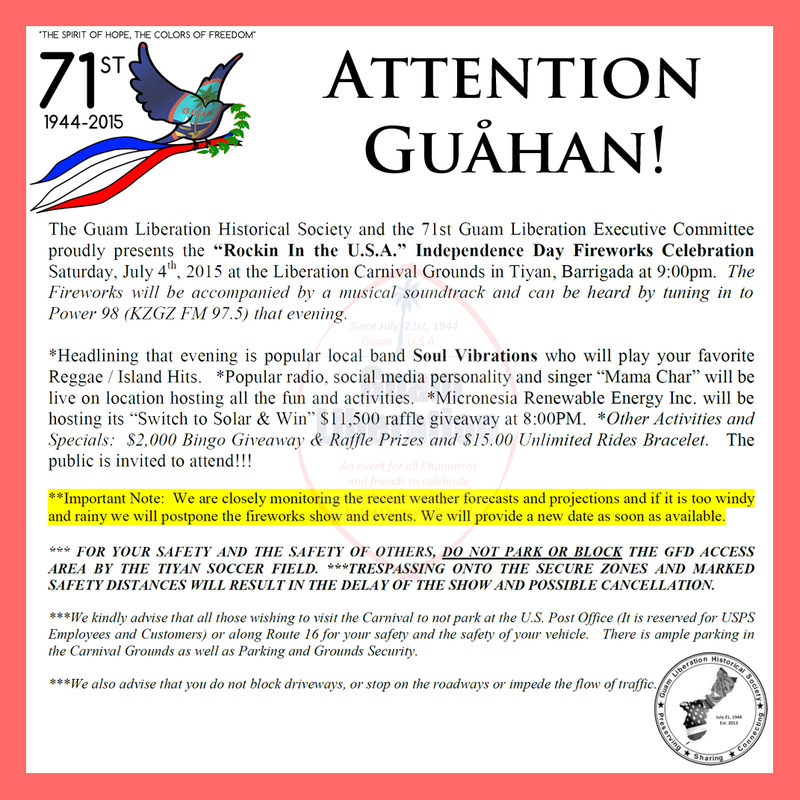 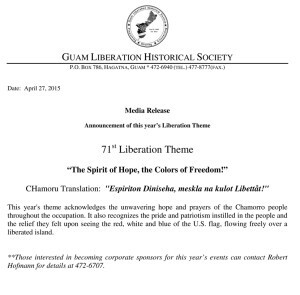 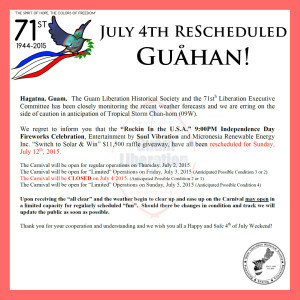 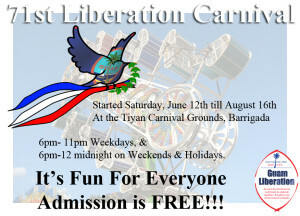 To all whom are interested in participating in the 71st Guam Liberation Parade, you must complete a Registration and Liability Waiver Form. 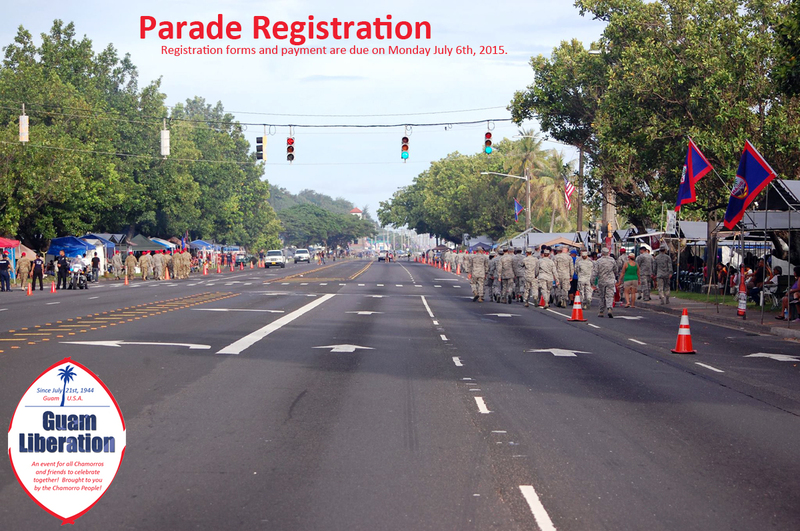 The payment MUST be submitted to the Dededo Mayor’s Office and the deadline is Monday, July 6th, 2015. 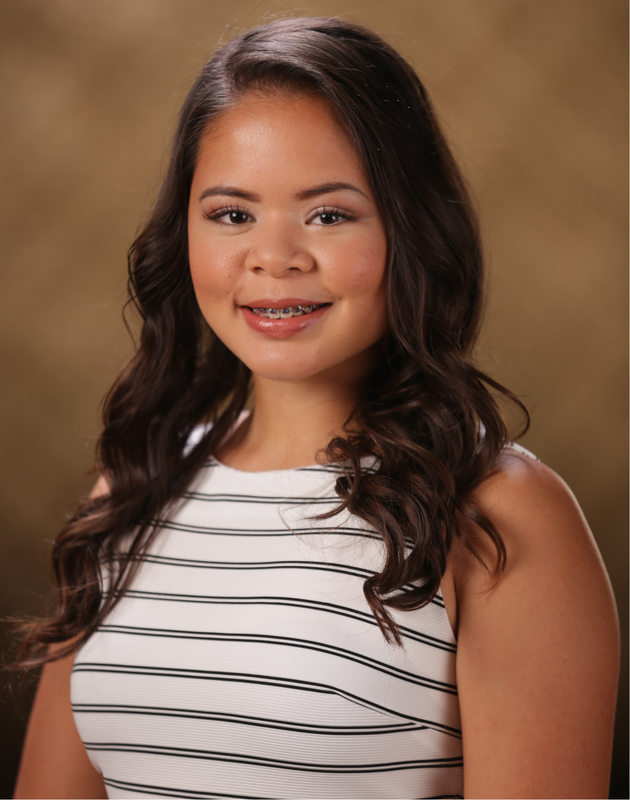 Congratulations to Bonita Dydasco of Santa Rita!